Exhibited at the International Contemporary Furniture Fair in 2009. 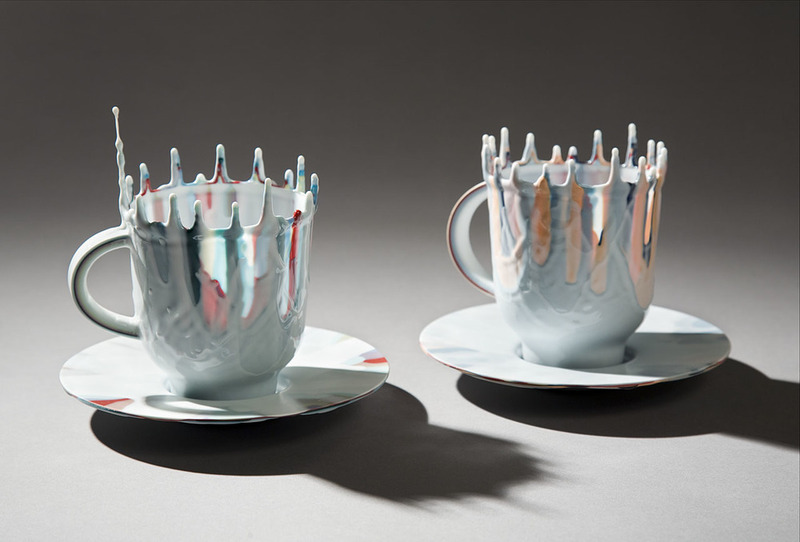 Made using over 18 layers of liquid plastic, each teacup defies gravity with its colored drips that harden around a mold into a solid shape. 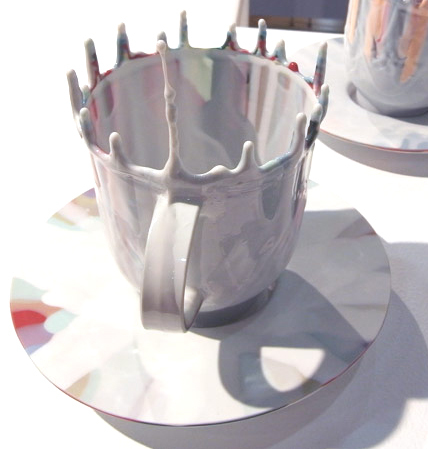 The cross-section of each saucer reveals the layers and layers of material.